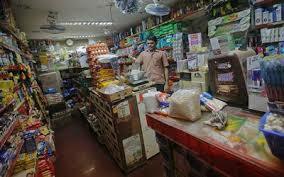 The general stores in Etawah sell items of daily needs, which include the grocery items and stationery goods. Everyday essentials, which include personal care products and homecare products as well, are available at these grocery stores in Etawah. These provisional stores in Etawah also deal in foods and beverages such as freshly baked cakes and pastries and even sell chilled beverages like Thumps Up, Maaza, Fanta, Sprite and 7 UP. Biscuits along with cookies and packaged food items are also retailed at these departmental shops of Etawah. Some of the provisional stores in Etawah even sell from a wide range of gift items for all age groups and for all occasions. Nearest landmark: P. C. F.